As many businesses increase their online exposure with Facebook pages and LinkedIn profiles, a new company’s starting point will generally be a website to market its offering and attract customers. 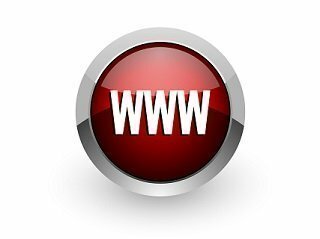 A domain name is a form of electronic address for that website. The majority of you will own one and it will be a valuable asset of your business. All domains fall under the administrative umbrella of the Internet Corporation for Assigned Names and Numbers (ICANN) which manages the domain name system, and contracts with the different registries around the world. Nominet is the registry to which ICANN has delegated responsibility for the .uk domain, including the task of handling .uk disputes. So if you operate a software company under a brand, say, “Tech Wizard” and discover a website techwizard.co.uk, what can you do about it? The service is a cost-effective and simple method of resolving .uk disputes (as compared to the court system) based on the DRS Policy and Procedure, part of the Nominet Terms and Conditions which contractually bind all .uk registrants. Has registered multiple domain names which correspond to well known names or trade marks in which it has no rights, and the domain name is part of that pattern. Once your complaint has been forwarded to the respondent, it will have a chance to defend itself, for example, with evidence that it has used the domain name in connection with a genuine offering of goods or services; that it has been commonly known by that name or legitimately connected with a mark which is identical or similar to the domain name; that it has made legitimate non-commercial or fair use of the domain name (including tribute or criticism sites); or that the domain name is generic or descriptive and that is making fair use of it. You may then submit a reply after which Nominet will conduct an informal mediation to try to settle the dispute. Failing that, an independent expert will be appointed to review the submissions and make a decision. The expert may order a transfer of the domain name to you, that it be suspended or cancelled, or that no action be taken. Alternatively, if the expert believes you are acting in bad faith to obtain the domain name, it may declare that you are “reverse domain name hijacking”. There is the right of appeal if necessary and any decision will be published. Nominet’s costs are £200 plus VAT for a summary decision or £750 plus VAT for a fully reasoned decision. An appeal will cost £3,000 plus VAT. Although the Nominet Dispute Resolution Service is designed to avoid legal costs and the Service, Policy and Procedure are all accessible and clear ( http://www.nic.uk/disputes ), if you do require advice or assistance in respect of a domain name which poses a risk to your business, please don’t hesitate to contact us by telephone on 020 7440 2540 or by e-mail at enquiries@fortunelaw.com.